One organization has a unique mission — combining Latino literature and fellowship. Las Comadres and Friends National Latino Book Club, a partnership between Las Comadres Para Las Americas and the Association of American Publishers, meets once a month to discuss a recently published book by a Hispanic author. It boosts more than a dozen chapters in Arizona, California, Connecticut, Massachusetts, New Mexico and Texas. 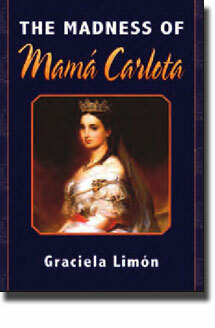 The club is scheduled to discuss The Madness of Mamá Carlota by Graciela Limón in April. The complete list for 2012, which includes Carolina de Robertis‘ Perla and Joy Castro’s Hell or High Water, is here. The book club also features Conversations with Authors, a teleconference in which members can talk with the writer. They’ve talked to Julia Amante, author of Say You’ll Be Mine; Lyn Di Iorio, Outside the Bones; Marisel Vera, If I Bring You Roses and Lelia Cobo, The Second Time We Met. The book club began in 2008 as an offshoot of Las Comadres Para Las Americas, a national organization founded by Dr. Nora de Hoyos Comstock that connects and empowers Latinas through community building/networking, culture, learning and technology. The group features a monthly potluck called a comadrazo, as well as other activities. But the book club remains one of its prominent activities. Many of the books have brought out interesting discussions, said Amanda Arizola, who serves as the National Project Manager for the book club.